The MTA giveth and the MTA taketh away. This time, the almighty transportation agency has abandoned its ambitious plans to renovate the shabby Fourth Avenue station in Park Slope into a glittering, light-filled, Euro-styled stunner. Just last November, the Metropolitan Transportation Authority showed off renderings (left) of the elevated F-train platform basking in sunlight from new windows, renovations that were part of a larger project to reconstruct the crumbling elevated tracks on the F and G line between the Carroll Street and Fourth Avenue. The trackwork is still set to start later this year and finish in 2012. 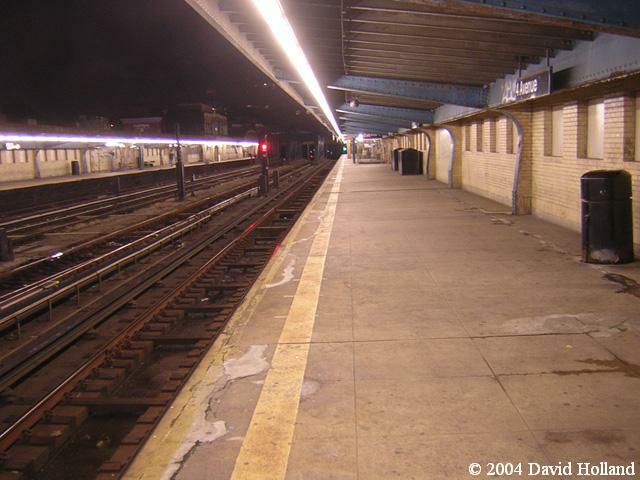 And improvements to the equally beleaguered Smith–Ninth Street station are still slated to begin next year. But the overall $250-million project has been trimmed to $187.8 million, so something had to give, said Deirdre Parker, a spokeswoman for New York City Transit. Station appearances are not as important as the system’s functionality, but it does matter to riders. Other MTA critics said it was disingenuous for the plans to be touted publicly only to be quietly dropped months later. “They have to have a public dialogue,” said Gene Russianoff of the Straphangers Campaign. Local subway riders were just as withering in their rebukes to the agency. Others said the refurbishments were not a priority compared to the condition of other stations. “I was really excited that they were going to redo it, but my first reaction was that they should do Smith-Ninth first,” said Jeremy Olsen, who lives nearby on 11th Street. Looks like the MTA agrees with him. Following a fare hike and weeks after promising to spend $30 million on expanded service in his state of the MTA address in March, Elliott Sander, the agency’s executive director, backtracked on the promise, forcing Brooklynites to forgo bus service from Red Hook to Manhattan, better G-train service, an extension to the B67 to Fulton Ferry in DUMBO, and other improvements.